SANTA ANA, Ca. 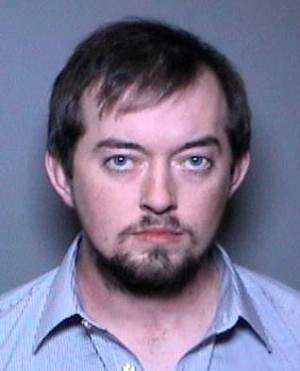 (January 23, 2019) – Orange County Sheriff’s Department investigators arrested a man suspected of committing multiple lewd acts on a 13-year-old boy beginning in 2011. The man, Brandon Jacob Nease, 25, of Orange, was arrested yesterday on suspicion of felony child molestation. For the past one and a half years, Nease has been a drama teacher at Costa Mesa High School. He previously taught dance at the Boys and Girls Club in Tustin and Fountain Valley beginning in 2013. From 2015 to 2017, Nease was the Education and Outreach Coordinator for the Musical Theatre West in Long Beach. From 2012 to 2015, Nease was a dance specialist at Camp James in Newport Beach. From 2008 to 2016, Nease was the Choreographer/Director for the Musical Theater Village in Irvine. Nease worked closely with children in each of his roles as a dance instructor. Due to Nease having continued access and contact with children over the past seven years, investigators believe there may be additional victims. Nease posted $100,000 bond this morning and has been released from custody. Please contact the Special Victims Detail at (714) 647-7419 if you have any information. Anonymous information may be provided through Orange County Crime Stoppers at 1-855-TIP-OCCS. 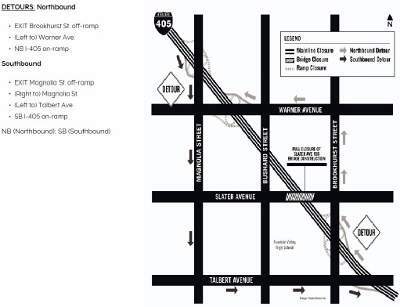 ORANGE – Interstate 405 through Fountain Valley is scheduled to fully close from approximately 11 p.m. to 8 a.m. beginning Saturday, Oct. 6 as part of the I-405 Improvement Project. Fountain Valley police officers found an unidentified man in his 40’s who had been stabbed multiple times, when they responded to the intersection of Brookhurst Street and Edinger Avenue at about 2:30 p.m. after receiving a call, according to the O.C. Register. On Saturday morning, June 9, 2018, at 4:05 a.m., a resident saw two suspicious subjects possibly breaking into a car in the 18200 block of Santa Arabella Street in Fountain Valley, according to the Fountain Valley Police Department. John Motesharrei, a 40-year-old Westminster man, pleaded guilty on his birthday Tuesday to a hit-and-run collision that killed Juan Ramirez Garcia, a 48-year-old Santa Ana man who was jogging in Fountain Valley, according to the O.C. Register. 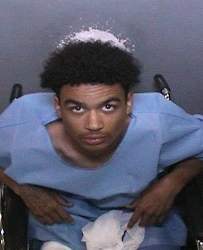 Daniel Enrique Ramirez, 24, of Santa Ana; and Joshua Rudy Ramirez, 21, of Corona, pleaded guilty to gang activity, eluding police and possession of a firearm by a felon, according to the O.C. Register. On 10/13/2017 at 11:34 PM, Fountain Valley Police Officers responded to a fatal traffic collision at Magnolia and Mint. While investigating the fatal collision at 5:16 AM, a suspect driving a black Dodge pick-up truck drove at officers and through the fatal traffic collision scene. The suspect turned around and drove at officers a second time, and an officer involved shooting occurred. On August 31, 2017, at approximately 1:02 a.m., Fountain Valley Police officers responded to the Winchell’s located at 17030 Magnolia Street regarding a robbery. 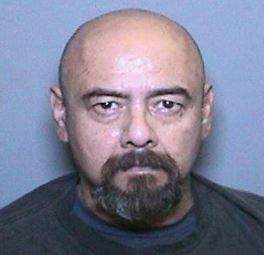 Santa Ana man arrested after allegedly kidnapping and dragging a woman on the 55 Fwy. 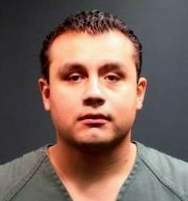 Jorge Hugo Molina , a 39-year old Santa Ana man, is facing kidnapping and domestic violence charges after police say he dragged a woman into a vehicle, according to the O.C. Register.